Reformat windows 10 which literally means formatting the disk or a disk partition to get rid of the corrupted data, Clean the disk drive. While reformatting all the data from your disk will vanish. So if your disk is working properly to get files and it’s creating some other problems like virus issue then take a complete backup of that drive before reformatting. 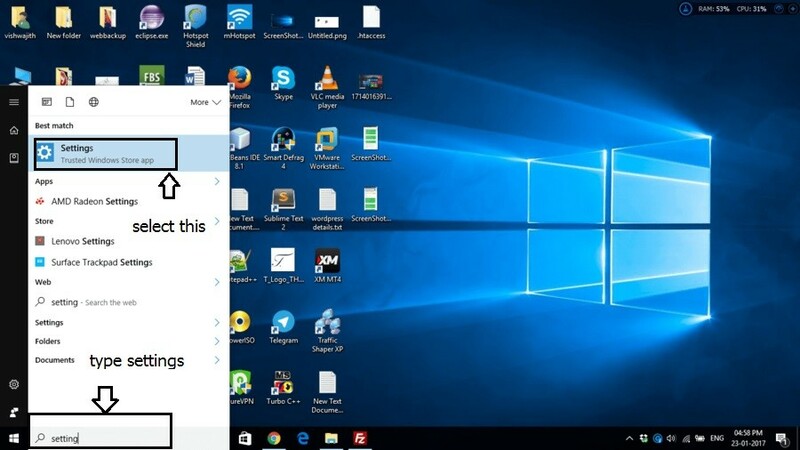 While reformatting you will retain that windows 10 so don’t worry. Here I am going to explain you step by step on how to Reformat Windows 10. Please remember that whatever you are doing is irreversible. So be careful with every click and know what you are doing.Make easier if you follow steps correctly. You can directly enter Settings by typing “Settings” in the search bar and click the first settings option. 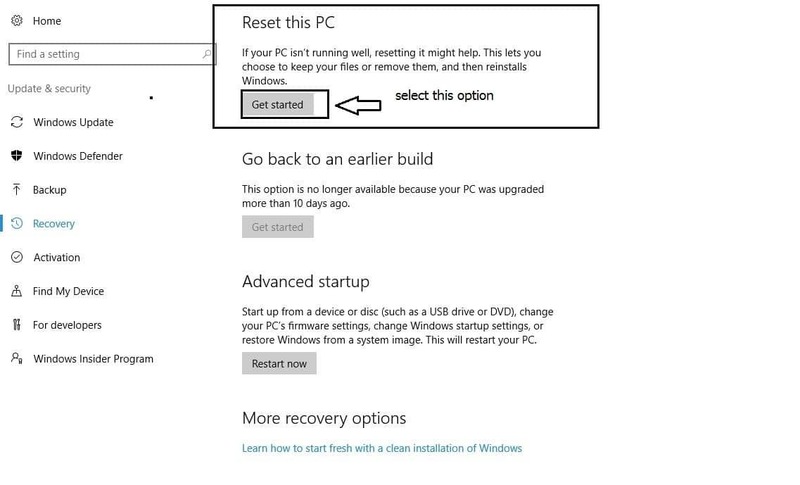 so that you can reformat windows 10.
the first option is Reset This PC Click on Get Started. You will see two options 1. Keep Files 2. Remove everything. 1. Keep files – In this option, the reset option will delete all your programs, apps and settings that you have installed and will keep all your files. This is recommended if your computer has a problem related to programs only. 2. Delete Everything –In this option, all your files going to vanish. Except for the basic Operating system. No programs, No apps, No files. It is recommended if all your files have been attacked by virus or malware. one more thing nowadays most of the laptops and desktops have a built-in recovery partition. So you can do these steps without any issues. Reformat windows easy. If you get an error like – “Recovery error insert recovery drive” then you need to take one Pendrive or cd or Dvd and make a bootable recovery disk. Don’t worry its very easy.I have written an article which is very easy to follow. Just follow this link to make recovery drive. Thanks a lot for visiting my blog. Hope you like it. Please LIKE and SUBSCRIBE so that my future posts will get you first.